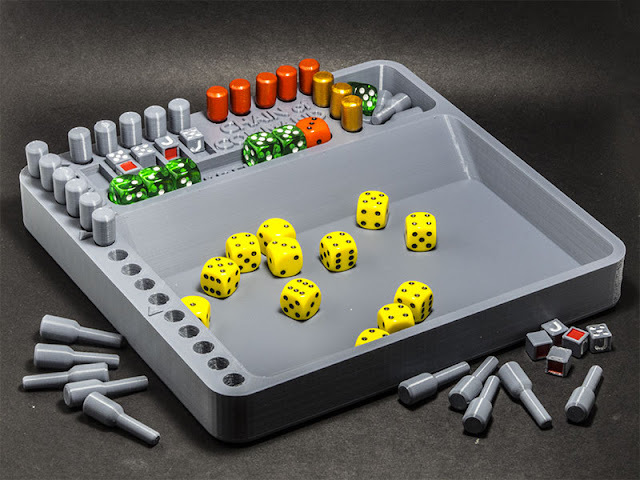 Those who have paid any attention to my maunderings recently might recall that I mentioned something about using my 3d-printed M15/42 models as tabletop stand-ins for the M13-40. Well, yeah. That's sort of been modified as a plan, because I accidentally made a digital 1:100 scale M13/40, which I will print some of over the next few days. I used m_bergman's excellent little 1:200 scale version as the basis, but added and/or refined a huge amount of the detail. I used it as a teaching project to familiarise myself a bit with Blender's new version 2.80 (still in Beta). There's a lot I like about the new version, but a lot too that frustrates the hell out of me, and which has slowed down my work-flow quite a lot. One of the most infuriating things about it is the way it often leaps into Perspective view when I'm moving around the model in Orthographic view; I haven't found any way to restrict it only to orthographic as yet. 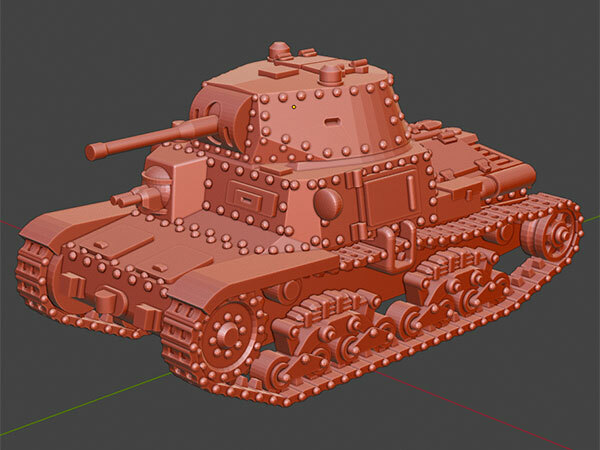 So anyway, now I have a digital model of the M13/40, which is sure to come in handy.